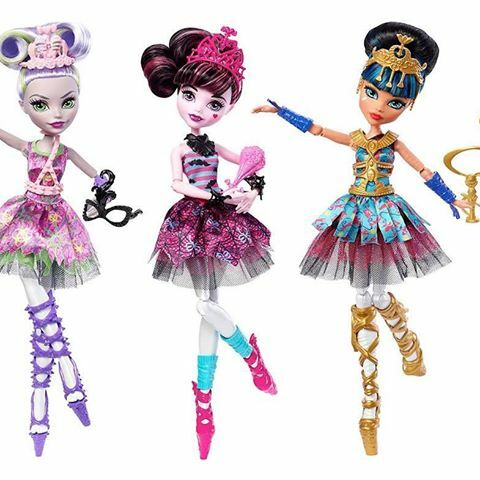 Monster High is aiming for delicate and graceful, and of course, ghoulish, with one of it’s new sets of dolls. There may only be three dolls in this collection, unless they do as they’ve done sometimes in the past, and release others in a second wave at a later date. But so far, the only Ballerina Ghouls we’ve seen are Moanica D’Kay, Draculaura, and Cleo De Nile.